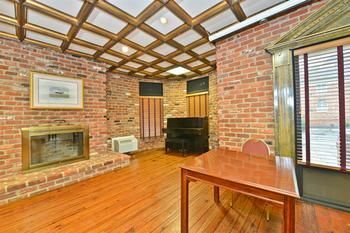 This is an attractive, interior corridor property in two buildings, that appears to be custom designed -- actually, a bit quirky, with the turrets -- and not conforming to any brand prototype, constructed in 1987. Richmond is the capital of Virginia. Its role in the history of the United States is long and rich, and it also has a long, rich history as a government, business and industrial center. For years, up until a few decades ago, its industrial base drew population growth by people who migrated to it from more rural areas of the mid-Atlantic states in search of jobs and fortune. Up until the sixties, when I was a small child, it was said that the public schools in North Carolina taught the "three R's" that we all knew were necessary to make it through life: "readin', writin' and the road to Richmond". Like the rest of America, its industrial base has declined somewhat, but manufacturing, health care, logistics and finance are still a formidable force here. Companies headquartered in the area include Philip Morris (now Altria, smokes and beers), Estes Express Lines, and Dominion Resources (electric power utility). SunTrust Bank, the Federal Reserve Bank of Richmond, UPS Freight, Abacus Corporation (accounting) and WestRock have significant operations here. Richmond, we can divide into five submarkets: Downtown, Henrico-Short Pump, Midlothian, Bells Road, I-95 North corridor, and Airport. That's about as simple as it can get in a city of this size: one downtown, one for each 'side' of town, and one for the airport (and I'm of half a mind to take another look at that large, sprawling Henrico-Short Pump submarket and think about how, maybe, it should be divided into two or more, but we won't worry about that today since the property we're examining is in a different submarket altogether.) 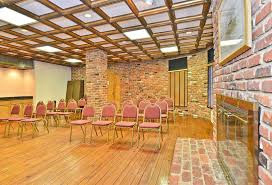 This property is in the Midlothian submarket. Among the larger employers here (which, with this property, you'd have something of a shot at by virtue of proximity) are GE Hitachi, HCA Virginia Health Care, Northrop, and United Health Care. The University of Richmond (and more particularly, its secondary demand generators) is on a sprawling campus north of you, between the Midlothian and Henrico-Short Pump submarkets, but you should have just as good at chance as those hotels, and this property is one of the closest. 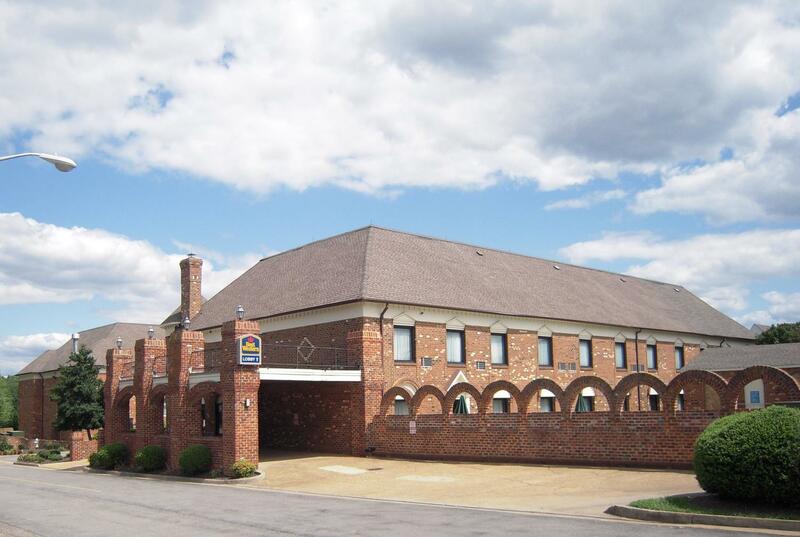 The property is located adjacent to and behind the Stein Mart Festival on Midlothian Turnpike, which as it happens, is also for sale. There's an Olive Garden in the Stein Mart complex, an unattractive Korean restaurant within walking distance, and a deli in the shopping center, but not a whole lot of nearby food choices. There's an Applebee's across the highway, and a Taco Bell a half mile a way up the turnpike; and I don't see a 24-hour breakfast spot. 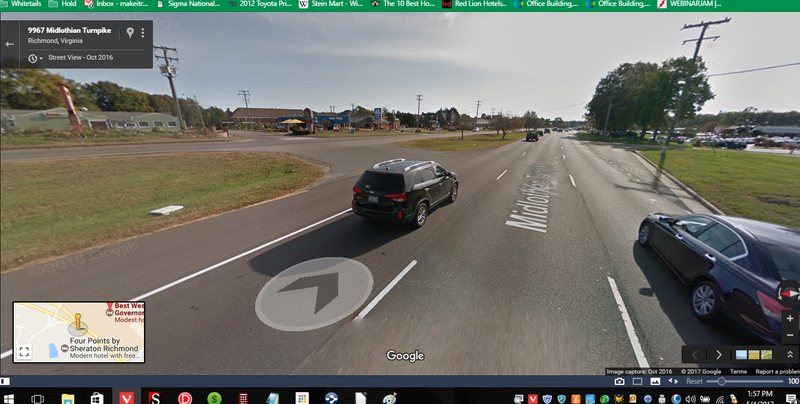 This stretch of Midlothian Turnpike is dominated by low-end if not cheap retail (clothing stores are a bit overrepresented among the tenant mix at Governors Square), and car dealerships. Chesterfield Mall is nearby. This property is a little back off the street -- behind a car wash -- so visibility is going to make marketing something that is going to have to be approached with some intentionality. People aren't going to just magically find you here. You may have to go out and get them. The CAS webpage claims extensive renovations in 2015 and 2016, but I'd walk around with my favorite quality assurance checklist -- a yellow legal pad, on which any noticeable imperfection is noted -- anyway. 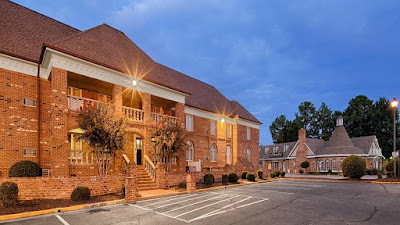 Promotional pics on the Best Western website look nice -- but furnishings are very traditional, conservative, and give the property a bit of a dated appearance. Theoretically, you can work with them. It's a start. But there are two small problems that you're going to have to address after you take over: 1) Continuous improvement will be needed if you're going to improve your rate performance (which isn't bad, but could use some improvement), and 2) the renovations notwithstanding, too many TripAdvisor reviews from last year describe the property as having a 'tired' or dated appearance. If it's all new stuff, somehow, too many people aren't noticing. "Nice, but spartan" doesn't make your hotel very competitive. Which brings us, before we move on, to another challenge -- unusual, but not unique, some hotels have it and just have to find ways to manage it -- that this property has: it's in two buildings. Putting upgraded rooms in the two-story annex will have its limitations as an option, because that building has no elevator. Putting more plain, economical rooms in that building could make some guests feel that they're being 'exiled' to it and given the dirty end of the stick, and shortchanged. We are going to have to put a little more into decorating, anyway. So, let's take care while we're doing that to have some differentiation between the rooms in the main building and the annex, so guests can be offered a choice as they book their room, and if they're put upstairs in the back building, it's because they choose it. Any renovations not complete will have to be completed. Decor needs to be upgraded in all the rooms. And in the annex, perhaps we should consider a more modern, edgy design; targeted toward younger guests, who have enough of a sense of humor to choose the annex and maybe have to climb up and down the stairs. The annex is also something to consider for extended-stay guests. And any expansion of office space for the hotel that involves knocking out a room will occur in the annex, not the main. The idea is to, at all times, have a person who a guest in that building can approach with a question or a request or a problem, and to have someone in that building at all times keeping an eye on things -- without having a second person on shift any more hours than necessary. Video monitoring of all common areas from the main front desk is, with a second building on the property, all the more mandatory. The property overall appears to be in pretty good shape. 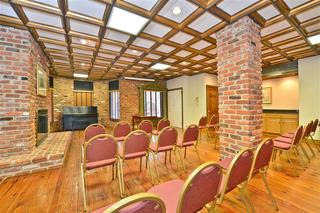 Guests respond well to the brick construction, the quaint, unique design; and remarkably, how the hotel is (with some exceptions, and we'll get to that), quiet. Lots of hotels that get high TripAdvisor scores still draw a few hits on how the walls are too thin and noise travels from common areas and nearby rooms. We might consider fencing for this property at some point, but for now we can probably take management at its word that there are no significant problems arising from its proximity to the trailer park. Occasional housekeeping and maintenance boo-boos occur and occasionally a desk clerk drops the ball, but I see no serious evidence of bad management here by the existing staff and wouldn't anticipate a major restaffing without giving the current people a chance (by contrast, I have seen properties that I would completely restaff). Even when a problem comes up for a guest and this hotel takes a hit on TripAdvisor, the bad review frequently points out that the staff is friendly -- they get credit for that much -- and makes some effort to be helpful and solve the problem. 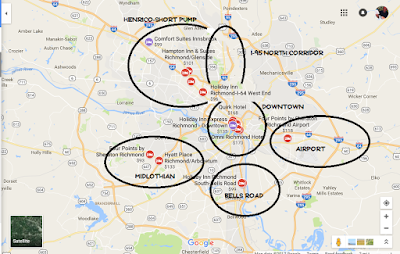 Certain things are going to occur in marketing any hotel, but we want to focus on what will work in this area of greater Richmond generally, and at this property particularly. Current management seems to be doing a pretty good job of group and small event marketing, but we need to take a look at some ways to not drive people nuts doing it. Groups occasionally complain because they get separated between the two buildings. Better planning of group blocks can solve this problem if they book far enough in advance, but if it's on short enough notice that there simply isn't enough vacant rooms available in one or the other of the buildings to accommodate the entire group, we should advise them up front when we accept the booking. And if management hasn't already, I would put an immediate and permanent ban on any events or meeting room rental that includes a performance by a live band. The property had a bad run of TripAdvisor hits toward the end of last year, enough probably to affect its overall bubble score, in a property that is appreciated for being quiet -- when it's quiet. If we took over, there would be no more amps; any music that is permitted as part of an event will have to be limited to acoustic. Sales and marketing is an important, essential function, but it has to be well-managed, and accountable. You want at all times to have positive relationships and cooperation between your salespeople and your operations people. You want your salespeople to bring you business, but you want them to bring you good business. And you don't want them to bring you business that drives other customers or guests away. We want to encourage and support sales, but we want to approach it responsibly and manage it well. 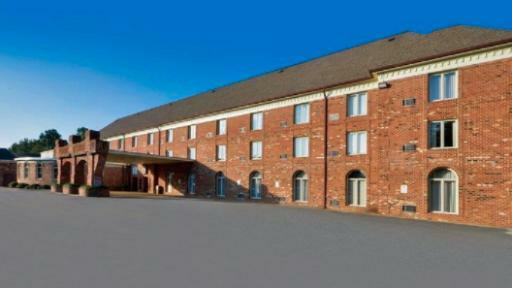 We'd recommend keeping the Best Western affiliation here, if being a Best Western member property is working out for it. One of the things Best Western does best is allow more room for customization, and this property is already appreciated for its unique design, so let's go with it and make the most of it, and scale that particular quality up. We need to add to the decor, anyway. If we took it over, we might fly in Blanche Garcia. Or not -- she has one way of working where, for a cut rate, you send her photos of your existing rooms, and she sends you a template, like she did with the hotels on Hotel Impossible at the end of each episode. Go with it. Offer $4.8mil and see what they do. Food and beverage should be limited to the required continental breakfast. We like to offer fresh-baked goodies on ours. 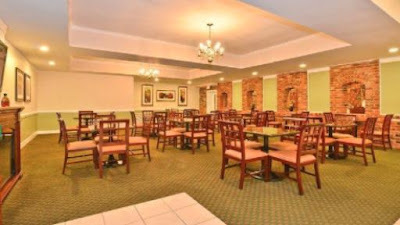 And some food, and coffee, should be made available in the lobby of the annex, even if we can't go all the way with the fresh-baked stuff in that spot. I'm not seeing a property, and location, here that's worth 3.67 times its annual room revenue. 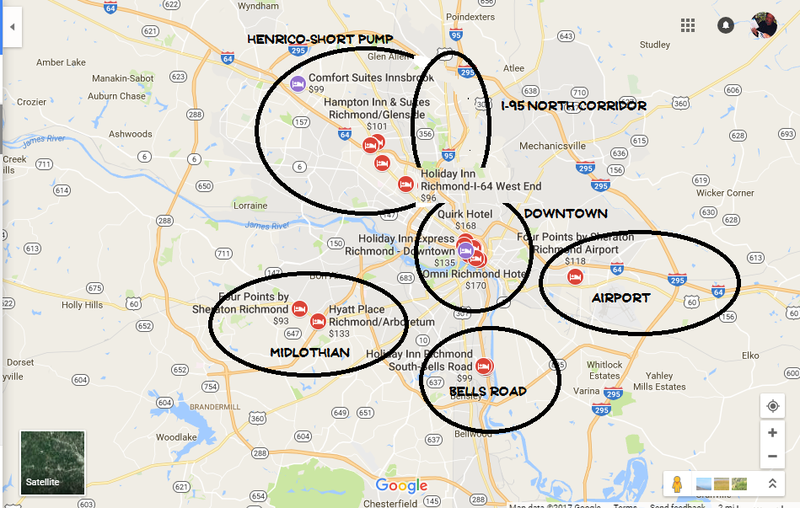 The hotel lacks visibility from a major traffic artery, the surrounding neighborhood isn't bad but contains only the most marginal demand generators (some retail, not much more) and offers way too little by way of nearby amenities or attractions to guests. There are several, very good things to be said for Best Western as a franchise affiliation (some, but very little of which, current ownership and management of this hotel is making good use of), but Best Western's ability to deliver lots of guests at a high room rate is frequently not one of them, and this hotel's quirky design won't easily be converted to too many other decent brands. Marketing this property to guests is only going to work if you work it. It's a good hotel that seems to be managed well, in apparently good condition, with a high TripAdvisor score and an ADR that isn't bad; so okay, we're not going to be a slave to our 3.0xGRR rule of thumb here, it may be worth a little more -- I figured 3.1xGRR to 3.4xGRR -- but we wouldn't go as high as 3.67xGRR on this one. If you currently own or operate a hotel in the Washington, D. C. area (particularly Annapolis, Arlington, or Columbia, Md. ), Atlanta, Boston, Fayetteville, N. C., Newport News, Va., Oklahoma City, Omaha, Orlando, or the Raleigh-Durham, N. C., area, you should consider a Richmond property, especially if one of more of your current properties is getting corporate or group business from one of the companies, groups, or government agencies previously mentioned, or one of its secondary demand generators. Without the marketing skill and the ability to reach out to corporate and group customers, this property will underperform. You have a visibility problem from Midlothian Turnpike that shows up time and again in the TripAdvisor reviews, and retail demand generators in the area immediately surrounding the hotel aren't altogether strong. Staff costs are going to be a little higher for this one (because of its layout in two buildings), and if you're resistant to that, or try to take shortcuts around it, it's not going to work well for you.